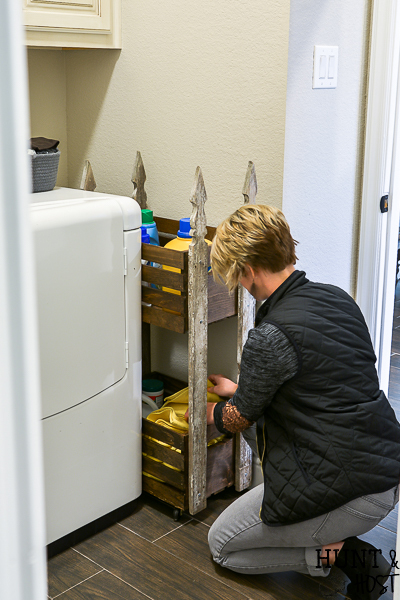 In case you missed it, I’m working on a few ideas to make our laundry room a more functional space. If I have to be in there as much as I am I might as well enjoy the scenery right!? 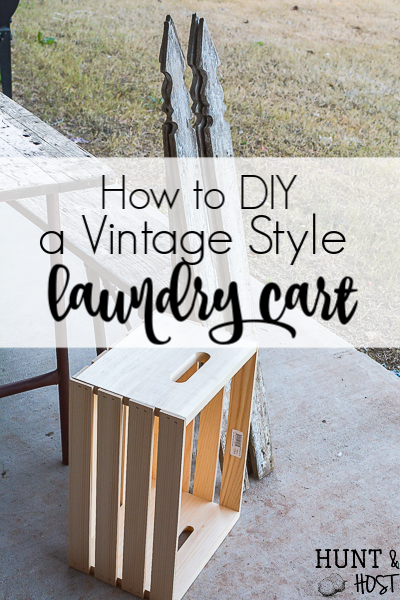 You can catch my last idea here and today’s vintage style laundry cart is coming at you with a few tips on how to enjoy your laundry chores a little more. 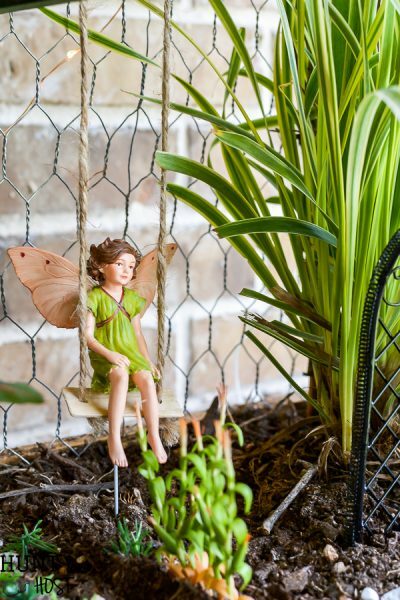 I will jump into the DIY details in a second, but I want to share a game changing habit that can transform a mundane chore into an intentional time to focus on your family. I’m the first to admit that sometimes when I’m fluffing and folding I can get a little annoyed with the task at hand, but then I remember how grateful I am and I start a grateful prayer. Sometimes I have to start really close in, like praising God I woke up today, giving thanks that I have a home, saying thank you for a laundry room, washer and dryer, honestly I could be washing clothes in a river! Next I circle out a little wider, thanking God for each person whose clothes I’m folding. Thank you for my husband and the way he provides for our family, thank you for each child specifically and the gift of having them in my life. Typically this leads into a deeper prayer and a sweet time with the Lord. Next thing you know the clothes are all folded and hung. This simple mind shift can help you with any chore that you initially get flustered about and turn it into a time of grateful thanksgiving. Just start small and as you look around the blessings will become clear. 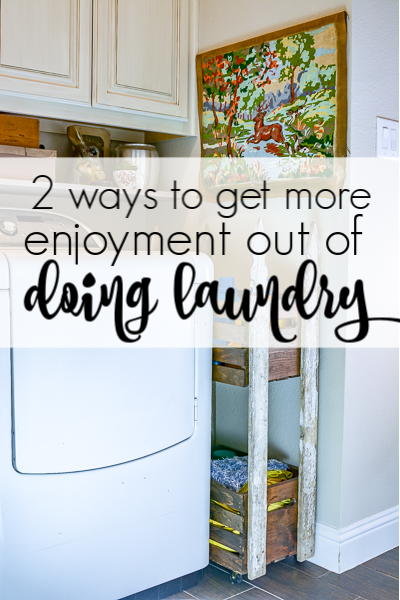 You don’t have to have your own laundry room, husband or kids to take advantage of this time, just start where you are with what you have and you will feel the load get a little lighter. 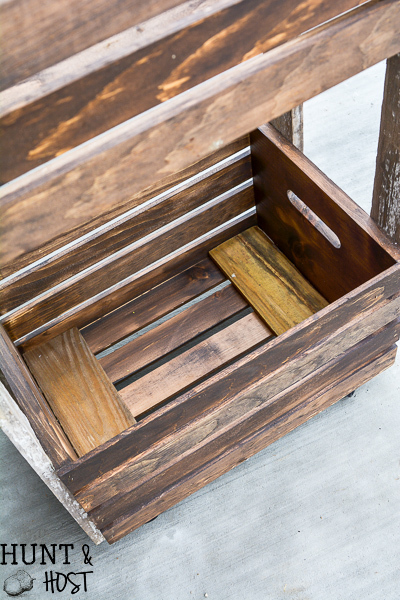 Start by staining (or painting if you prefer) the wood crates. I use rubber gloves and disposable rags when I stain for easy application and clean up. 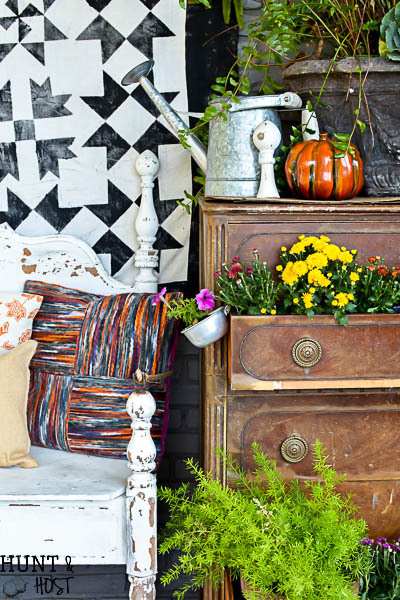 Bonus if you find some vintage crates you can use! 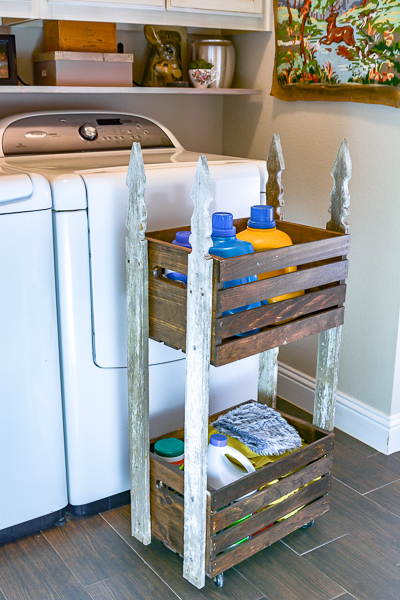 Even if you can’t the mix of paint and stain will lend to the vintage feel of this laundry cart. 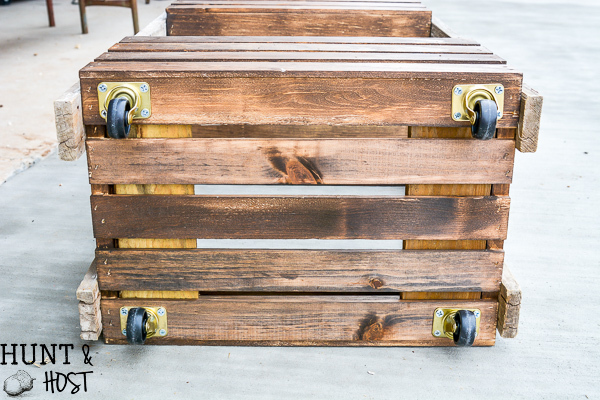 Cut two lengths of wood to fit inside the end of your crate like the pic below. You need to do this so that the casters have something to attach to. The crate base is not thick enough on it’s own. Screw these two pieces to the inside of your crate. You could attached them to the bottom, but I didn’t want them to show. Next flip the crate over and attach your four casters with wood screws. Lay both crates on their sides and lay two fence pickets on them. I pushed mine out to the edges to have more access to the contents in the crates once assembled. I also secured the pickets to the ends of the crates versus the front and back because this is the only way the cart would fit into the space I have, your space may be different! Flip the crate over, square it up and attach the other two pickets. You are done!!! 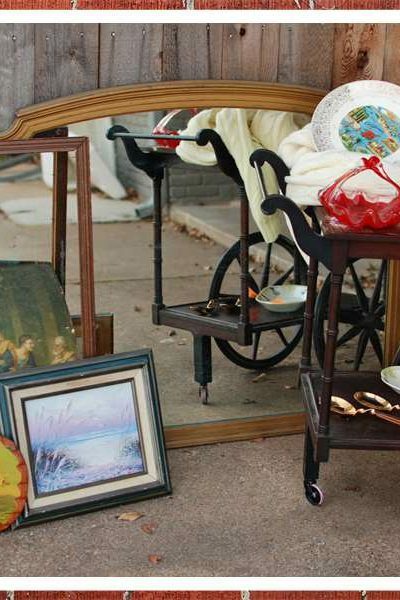 How easy was that precious laundry cart? 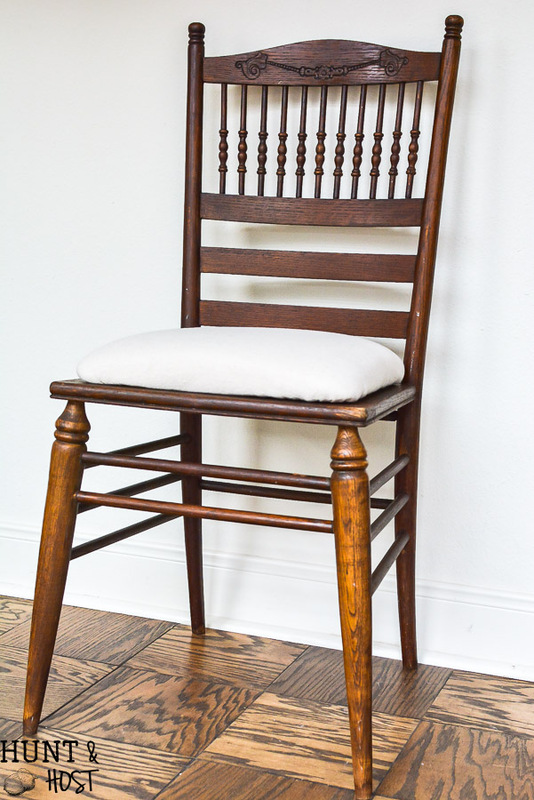 You could jazz it up even more by stenciling on it, adding some vinyl typography or wood burn it! Wouldn’t it be great to hold towels and toiletries in a bathroom or maybe crafts in your craft room or closet? 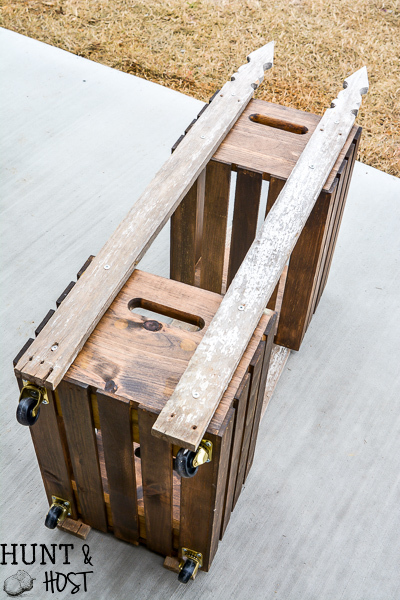 This vintage craft cart looks adorable and easily holds my big ole laundry detergent bottles, rags and cleaners. 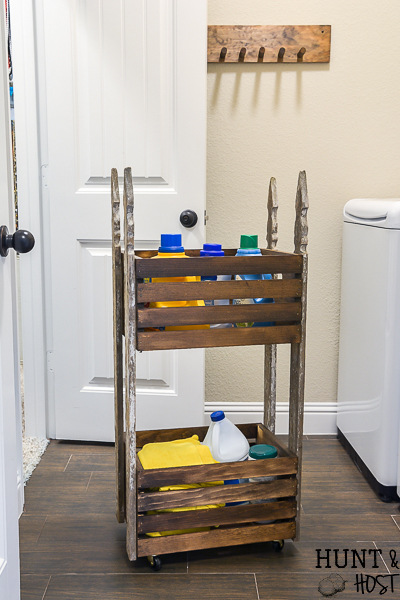 All cheers for an organized laundry room and a new direction for pesky chores! Pin this post so some other un-loving laundry lady can stumble upon it and turn her frown upside down! I love that – it makes me so happy to think of praying for people you may never meet if you are a creative who makes things for others. What a sweet gift!